REMINDER: Petitions for County-Wide Offices-Member Board of Chosen Freeholders and County Clerk are due today by 4:00 pm here at the Bridgeton Office. All Municipal and County Committee petitions are also due today by 4:00 pm and need to be turned in with the Municipal Clerk. Shiloh Mayor Brad Campbell receives the first annual Turnout Trophy. 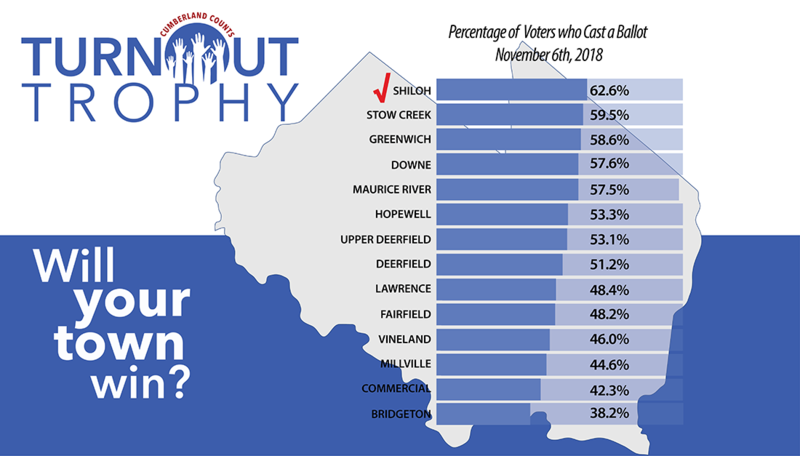 Shiloh won with a 62 percent turnout on Election Day. 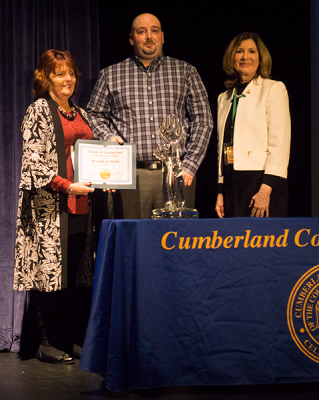 Pictured (L-R) Deputy Freeholder Director Darlene Barber, Mayor Campbell, County Clerk Celeste Riley.